The Toronto Maple Leafs made huge strides last season, but a continued move forward is all that's needed to be considered a winning season. This is part two of our series of season previews for the seven Canadian-based NHL teams. See also: Edmonton Oilers, Ottawa Senators, Montreal Canadiens, Calgary Flames, Winnipeg Jets. 2016-17 record: 40-27-15 (95 points), 4th of 8 in Atlantic Division, eliminated by Washington in 6 games in 1st round of playoffs. Key off-season additions: F Patrick Marleau, F Dominic Moore, D Ron Hainsey. Key off-season subtractions: F Brooks Laich, F Brian Boyle, D Matt Hunwick. From opening night, when No. 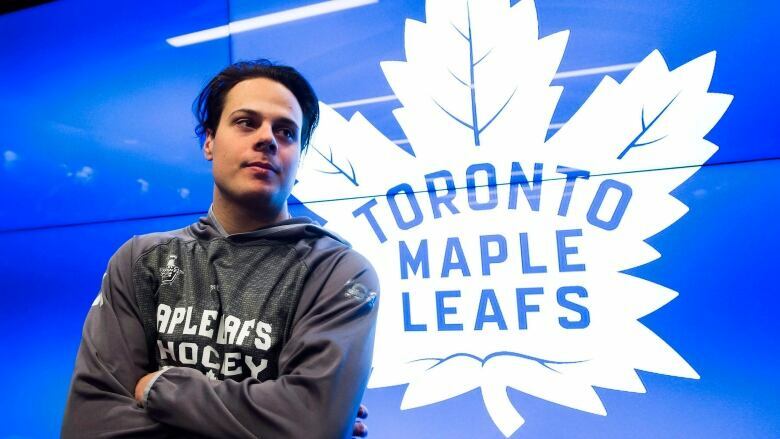 1 pick Auston Matthews scored an NHL-record four goals against the Ottawa Senators, to a six-game loss to Washington in the opening round of the playoffs, the 2016-17 season was one that defied the managed expectations of the Maple Leafs' front office. Matthews' 69 points (40 goals, 29 assists) led the team and earned him a Calder Trophy as the league's top rookie, which only served to overshadow the achievements of fellow rookies Mitch Marner (19-42-61) and William Nylander (22-39-61), as well as a maturing Nazem Kadri (32-29-61). At fifth in goals scored (250), the offence wasn't a problem, but the defence (242 GA, 22nd) showed it still needs developing. Frederik Andersen (33-16-14 in 66 starts) proved the team's faith in him as a No. 1 when they signed him to a five-year, $25-million deal. Perhaps most impressive about the team's turnaround from its last-place showing the season prior was the playoff performance against top-seed Washington, pushing the Capitals to six games, five of which went to overtime. With such a young team, the Leafs went "old" in their acquisitions, signing free agents Patrick Marleau (38 years old), Ron Hainsey (36) and Dominic Moore (37). 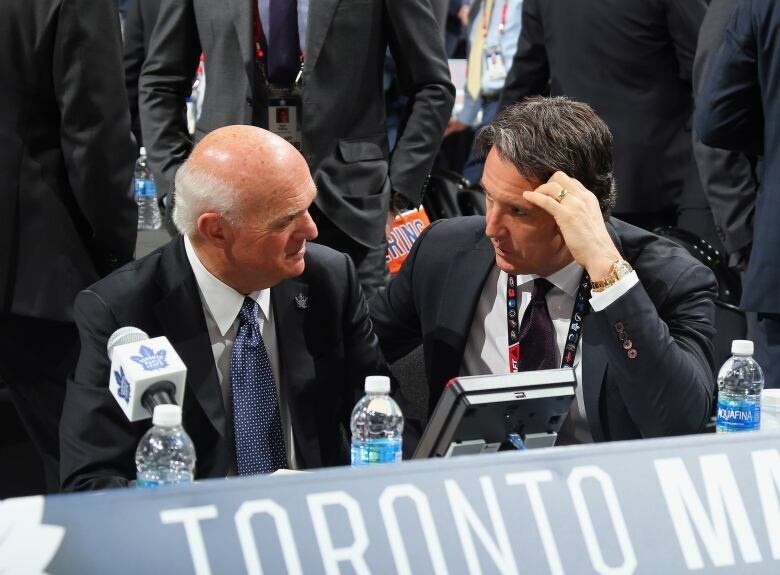 The Leafs are being deliberate in the development of their valuable young assets and while the veteran trio is not expected to be around if and when the team wins a Stanley Cup, their influence is considered vital to the ultimate goal. Perhaps the biggest move, though, was the seven-year deal the Leafs gave 25-year-old D Nikita Zaitsev. And because it's Toronto, there could not be a summer without some juicy headlines, and the Joffrey Lupul is-he-or-isn't-he healthy provided that fodder. So they had that going for them. Which is nice. In the cold, calculated strategy of Brendan Shanahan-Lou Lamoriello-Mike Babcock, their young charges continue their apprenticeship under the guidance of the sage veterans, learning to play the game the "right" way. On defence, Zaitsev merges with Morgan Rielly and Jake Gardiner to form the nucleus of a future contender, while Andersen provides the kind of goaltending that covers up inevitable "youthful" mistakes so the team's confidence continues to grow. And off the ice, management would love it if the championship-starved fan-base can wait at least one more year before demanding a Stanley Cup. Where to start? It's Toronto so it doesn't take much. Worst-case would be significant injuries to any of Matthews-Marner-Nylander that puts their development on hold. 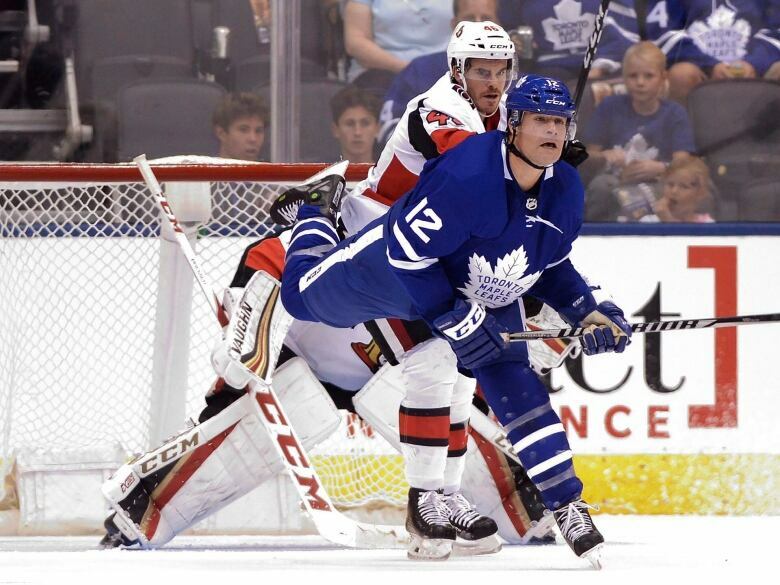 James van Reimsdyk and Tyler Bozak, the backbone of the offence prior to the kids' arrival, are both UFAs next summer and any backsliding by the youngsters might make the organization's decision on that pair more difficult. (And keep in mind the Leafs will be looking to lock up Matthews to a mega deal next summer, and most likely Nylander and Marner as well.) If Andersen falters, it shakes the faith that he's their guy for the remaining four years of his deal, and if Rielly doesn't make the next step it again forces management's hand on finding a solution. Babcock famously promised pain when he arrived in 2015, but let's face it, after last season everyone thinks the worst of it is behind them. To go backward, in any form, is not part of the Shanaplan.